The Navigation Based on Language add-on is only available with a Developer or Business licence. With the Navigation Based on Language Add-on you can have menu items displayed or hidden based on the current language. It’s useful when you want to display different pages for different languages. Or for when certain pages are not translated in a specific language and you don’t want them to appear in the menu for that language. The add-on is available for download from your account. Once downloaded it can be installed just like any normal WordPress plugin. 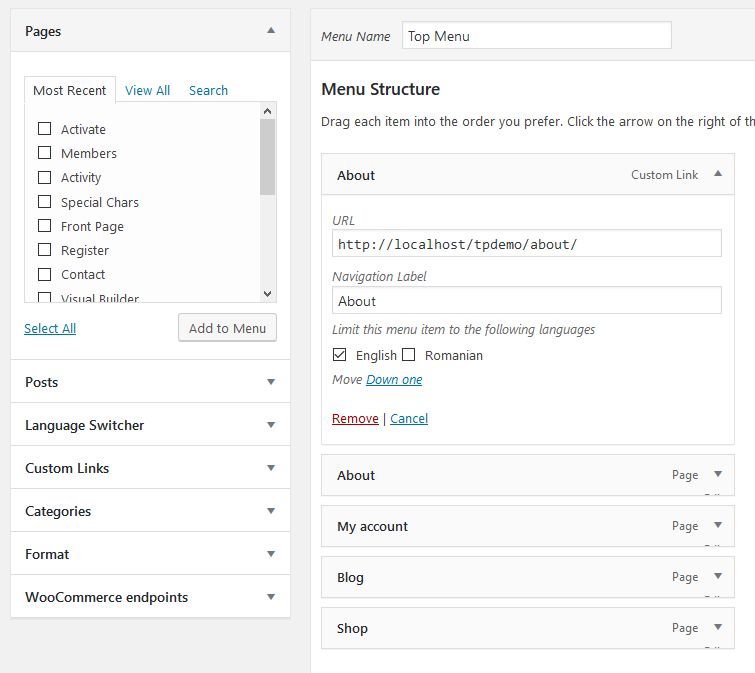 With the add-on active, you can go to WordPress -> Appearance -> Menus and select what menu items appear for each language.